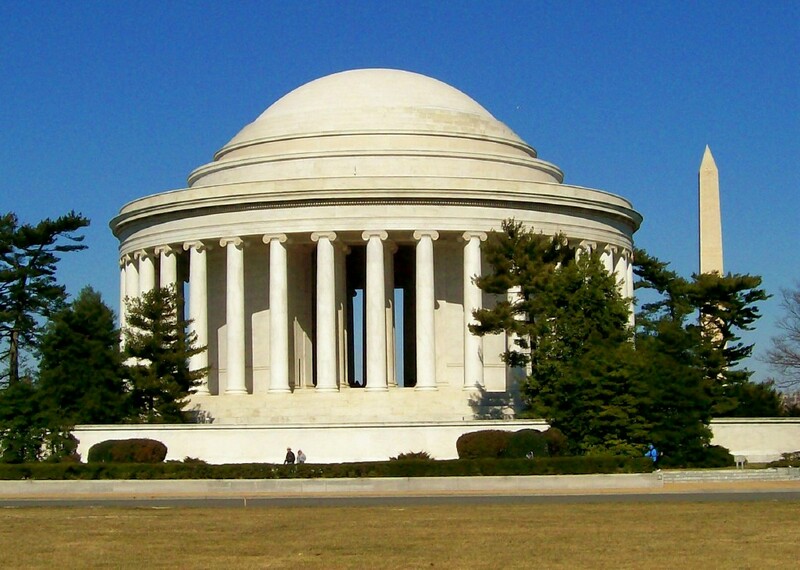 Jefferson Memorial - was dedicated on July 1943, the 200th anniversary of President Jefferson's death. A 19-foot bronze-tall statue of President Jefferson stands inside of the memorial. Inscribed on the walls inside the memorial are excerpts from the Declaration of Independence and Jefferson's most famous writings.